I can not leave well enough alone. There are always two ways the road can diverge from ‘well enough’. It can skip to blissfully wonderful or slump directly to DOH! and palm to forehead slap. A few wisps of mascara is well enough…but a few more and what if it makes my blue eyes seem bigger and bluer than ever before…or I poke myself in the eye with the dang wand that will leave me not only blind but mascara will be smeared from eyelash to eyebrow. Every dang time. Brownies are well enough – they might even reach into the realm of great enough. A handful of roasted pecans and a slathering of rich creamy chocolate frosting and we just hit the freaking dessert jack-pot. The world of well enough. Such a fine line to walk. Left to my own devices with a jar of homemade strawberry jam, a craving for a lemon dessert that would make any 76 year old raise an eyebrow (ever notice how much old people love lemon desserts? ), and a complete inability to leave well enough alone can only lead to a bit of tinkering in the kitchen. End result. 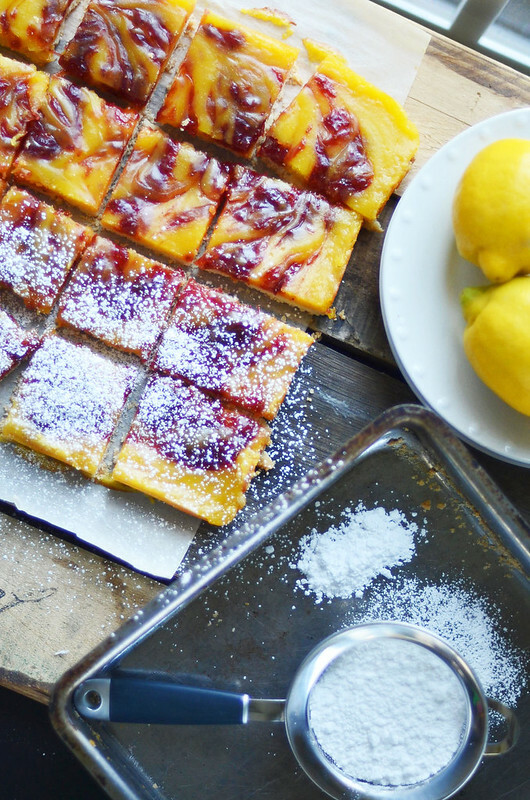 Strawberry Jam Lemon Bars. Cue the lights and whistles and horns and bells and don’t forget the confetti … this chicka just won the ‘well-enough’ gamble. 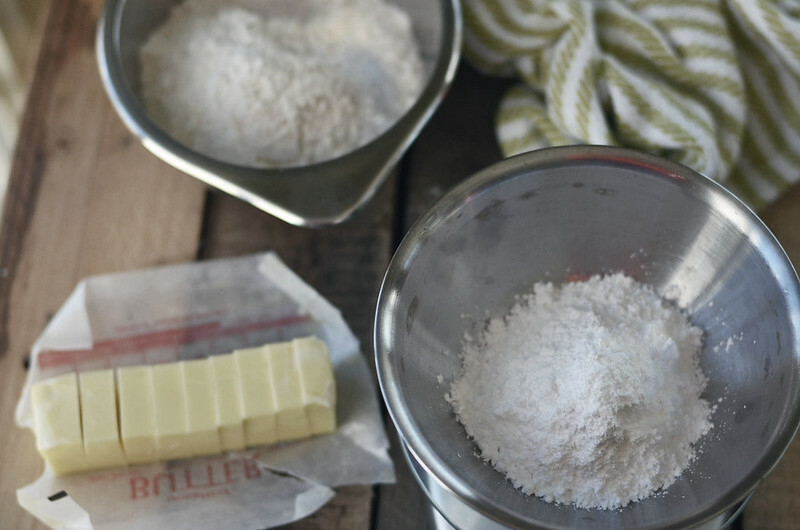 The crust comes first…shortbread will be best – sweet and sturdy. There will be butter and flour. Confectioner’s sugar and touch of salt will finish up the crust. 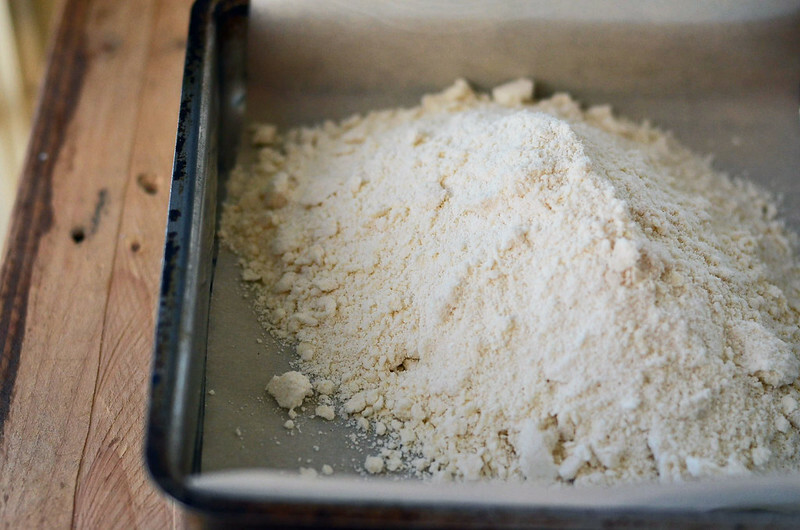 I like weighing my dry ingredients when possible because of the fewer dishes in the end but weighing is more accurate, providing a more predictable end result….but lets be real, it is all about the number of dishes in the sink at the end of the day. 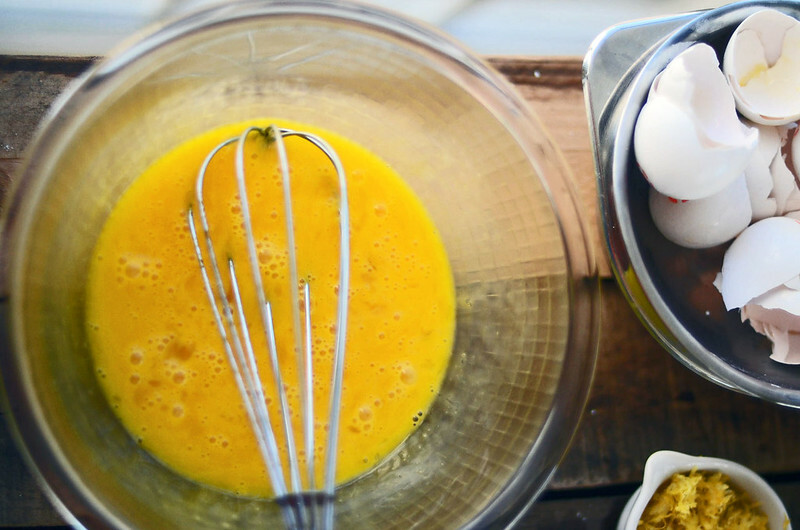 Ingredients into a food processor (but I hate cleaning that machine!) or the mixer (so much easier!) and work until mixture is crumbly and when pressed between thumb and forefinger it sticks together. Pressed into prepared square pan and then into the oven for a bit of pre baking … Forward march! 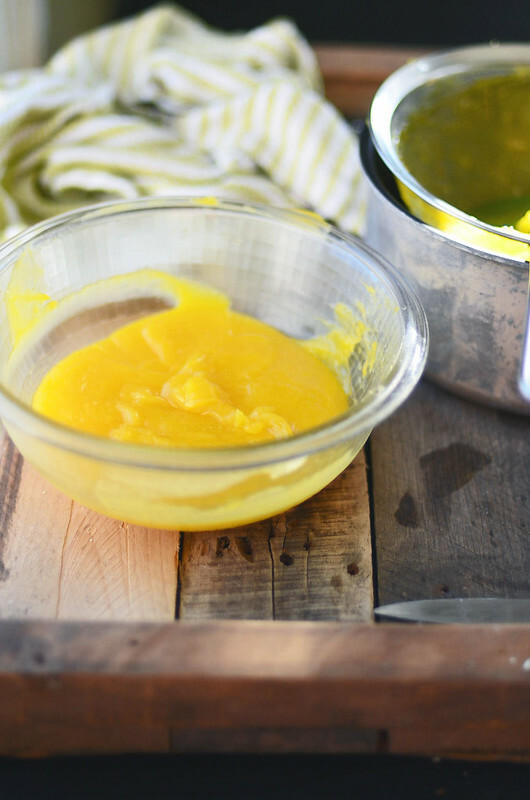 Lemon curd, go! And the juice. 5 or 6 lemons will do ya. 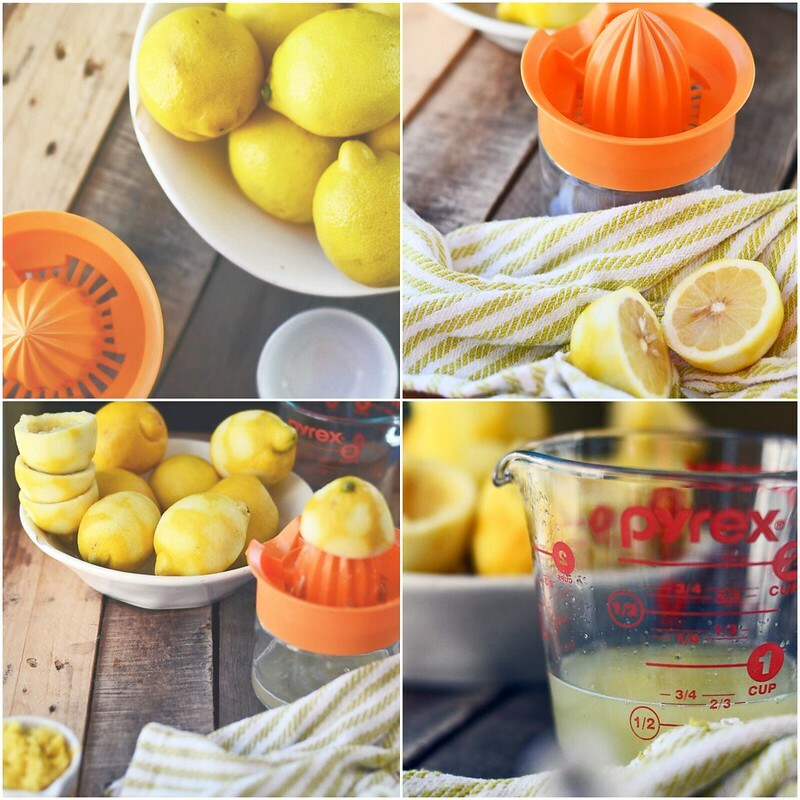 Once the lemons have been juiced and zested and the lemon scent is up your nose, in a good way and in that one paper cut, in not such a good way – you will need A LOT of eggs. 7 yolks. 2 whole. Egg white omelet anyone? 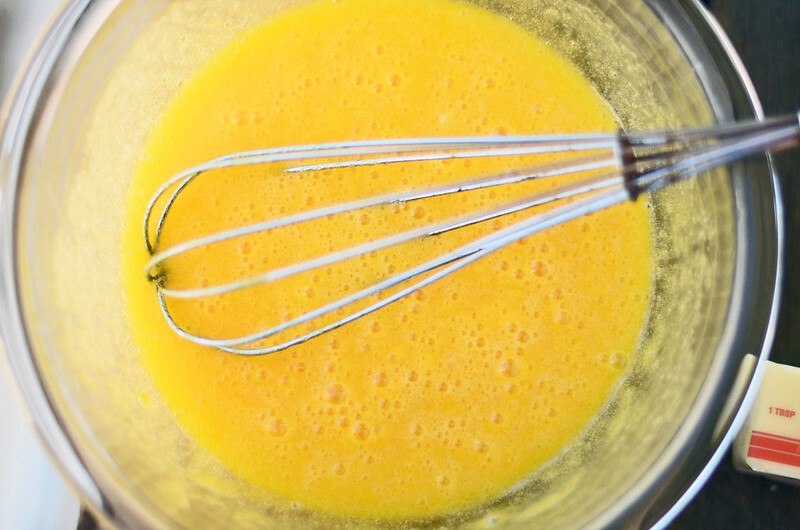 Grab a whisk…you will need one and a bit of elbow grease. 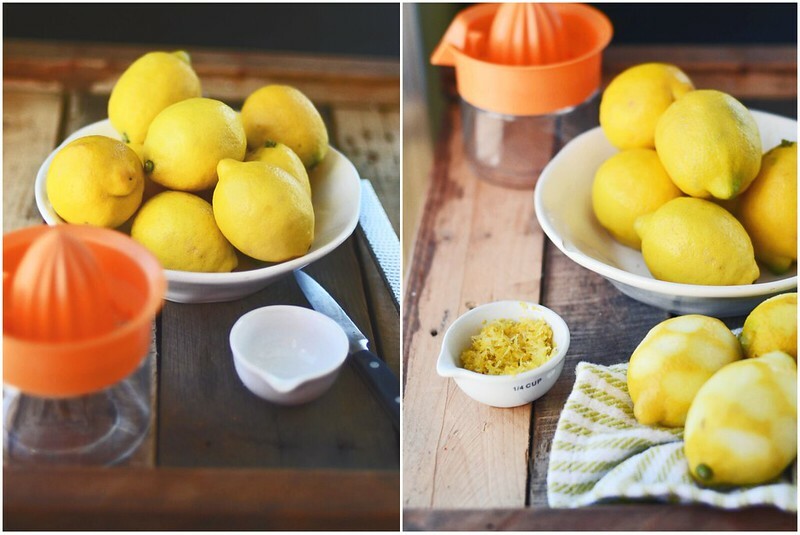 Also, some sugar, butter, salt…and remember those lemons? 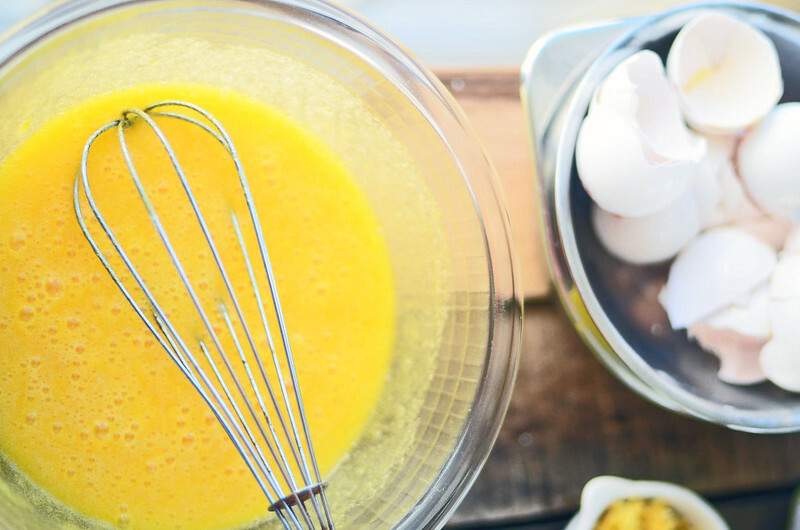 After the eggs are whisked to an inch of their life – sugar jumps in followed by the lemon juice and zest and a pinch of salt. Into a heavy bottomed pan and onto the stove. We have a bit of cooking to do. Add butter (not pictured) and stir (not pictured) and stir (again, not pictured) until the curd is thick and holds to the back of a wooden spoon. Stir in cream. Strain. Eat a spoonful. Or two. Pour into a warm pre-baked crust. Swirl in warm strawberry jam. Bake. Apologize for the lack of visual aids in those final steps. But look! Tah-dah! 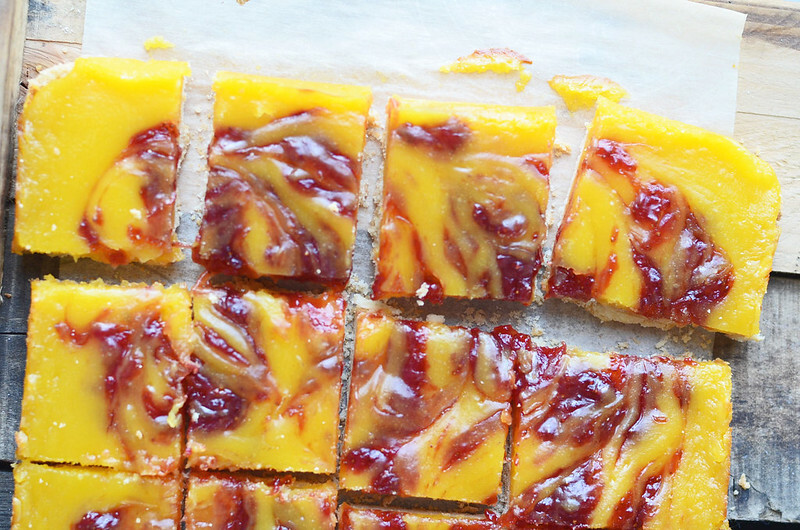 I am totally pumped about that swirl … I was worried about having orange colored lemon flavored bars (red + yellow = orange). I am notorious for flopping at the swirl. 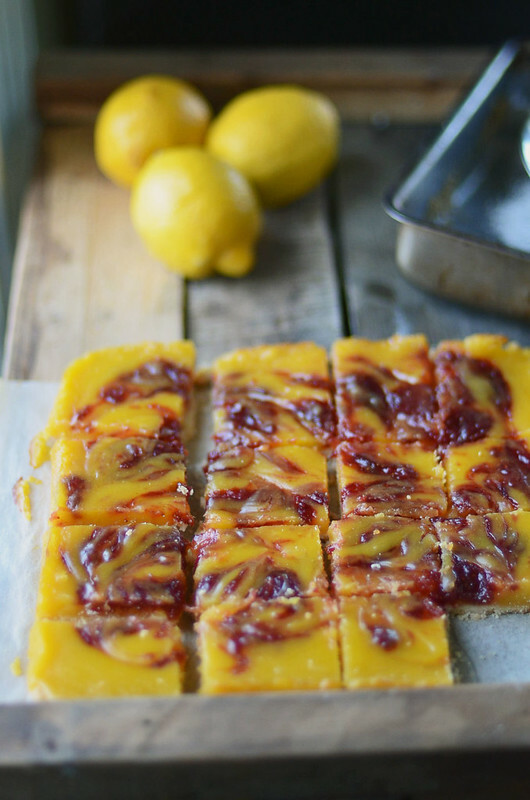 Strawberry jam lemon bars I believe are best on the first day. Day 2 and on – the strawberry jam’s sweet flavor starts to fade and is taken over by the lemon, which – how bad could that be? I beg of you to make these for your mom this weekend. HOW IS IT MOTHER’S DAY ALREADY!?!?! 8 Tablespoons (1 Stick) Unsalted Butter, cut into pats - cool but softened. Preheat oven to 350F. The filling will need to be poured into a warm crust, therefore when the crust is baking, prepare filling. A bit of multi-tasking. 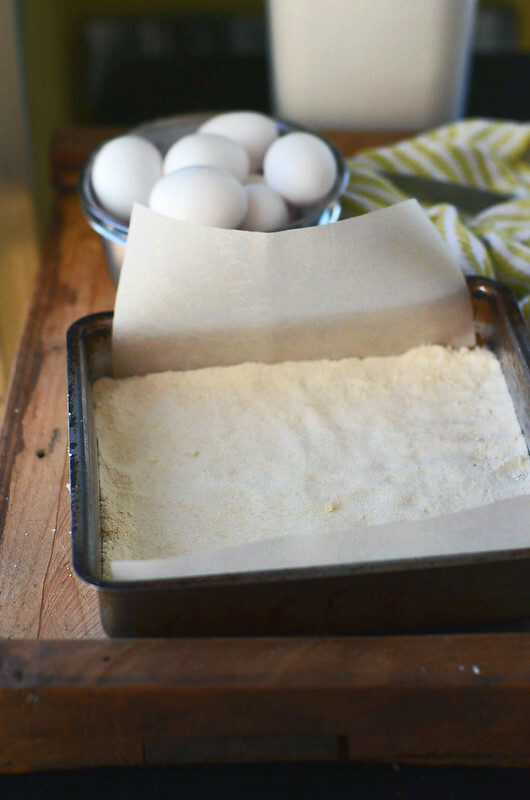 Line an 8x8 baking dish with parchment paper. Set aside. 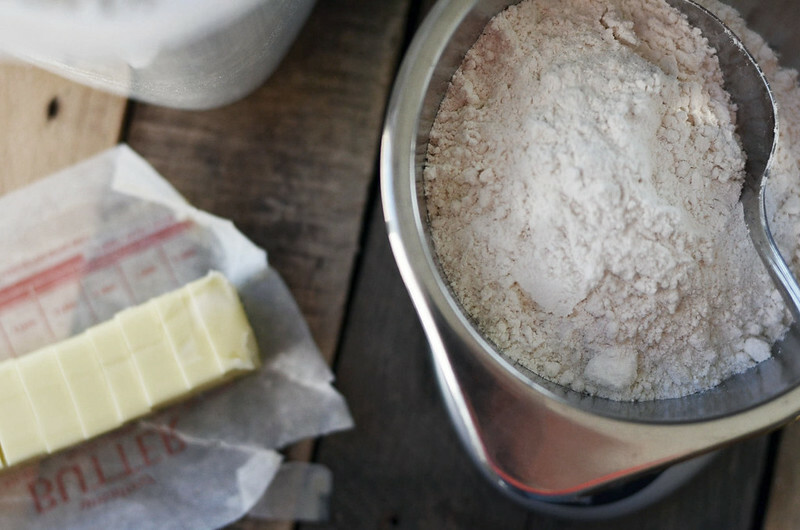 Combine flour, confectioner's sugar, and salt in a large mixing bowl (or in the bowl of a food processor). Mix to combine. Add in pats of butter and beat on low-medium speed until mixture resembles coarse meal and when pressed between thumb and forefinger it holds together. Dump mixture into prepared baking dish and press it firmly into the bottom of the pan. 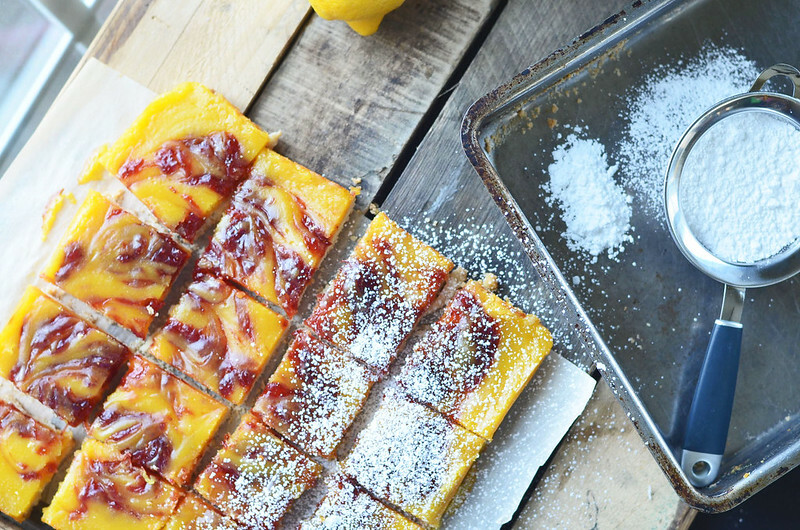 Freeze for 15 minutes (note: while the crust is chilling, zest and juice the lemons). Place in preheated oven and bake for 20 minutes until golden brown. 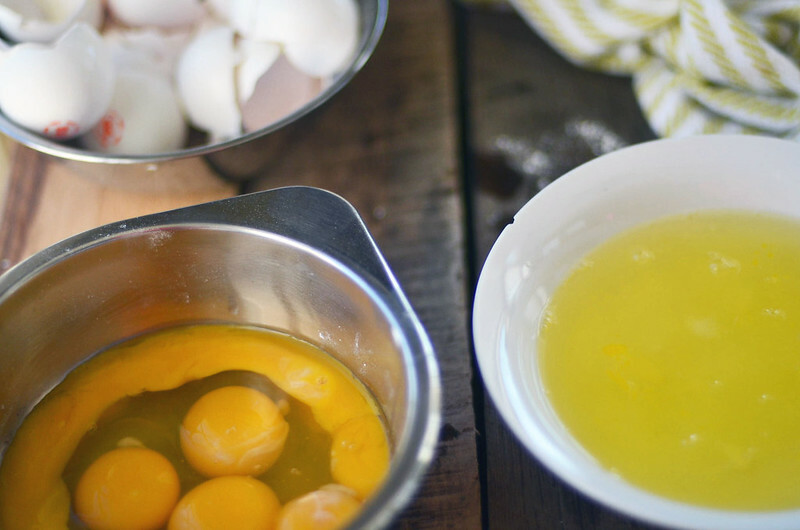 In a large mixing bowl, whisk together egg yolks and whole eggs until combined. 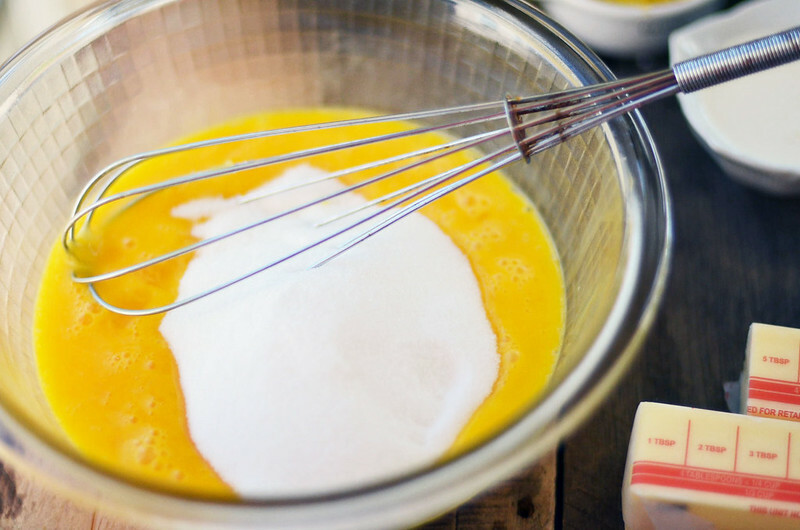 Whisk in sugar until just combined. 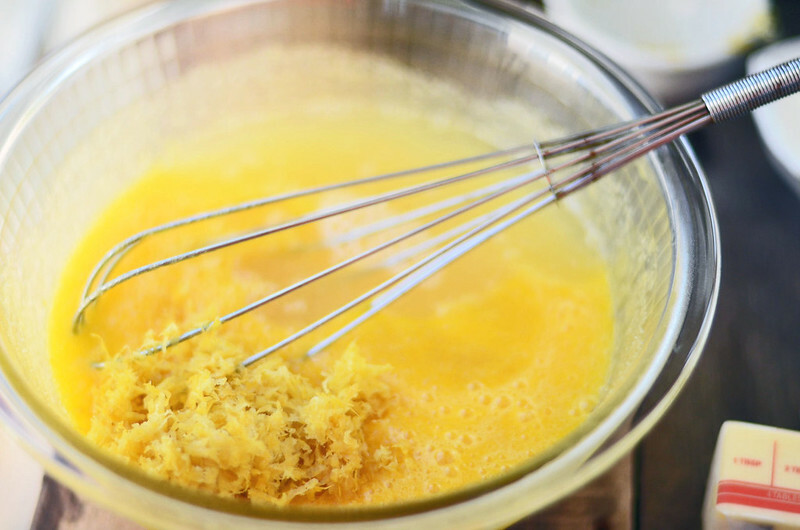 Add salt, lemon juice, zest and whisk until combined. Pour mixture into a medium sized saucepan, add butter pats and cook over medium -low heat, stirring constantly with a wooden spoon until he curd has thickened and coats the back of the wooden spoon (about 170F) - will take about 15 minutes. Immediately remove from heat and pour filling through a mesh strainer into a medium bowl. Stir in heavy cream. Pour filling into the warm pre baked crust. Place tablespoon dollops of warm strawberry jam over the top of the filling and with a butter knife, pull the jam through the curd, creating a swirling pattern. Place in preheated oven (350F) and bake until the edges are set and the center jiggles just slightly. Remove from oven and let cool completely before cutting and serving. Just before serving, sprinkle with confectioner's sugar.